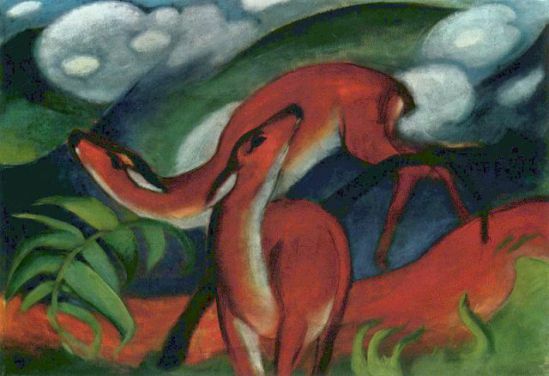 In a time and place of looming apocolypse, German born artist Franz Marc produced some of the more famous pieces of animal art in recent history. His Expressionist works were respected highlights of that art movement, and his Cubist art (think Picasso) were some of the earlier, and lasting, images in that popular genre. 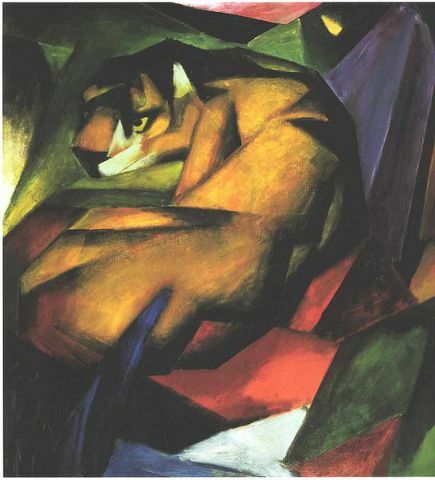 Also one of the early inovators of modern camoflauge, Marc's most famous Cubist painting, The Fate of All Animals also known as Animals Destinies (translated) was boarderline prophetic of World War I! This surprised even Marc, who is noted as comparing the painting, "like a premonition of this war - horrible and shattering. I can hardly conceive I painted it!" 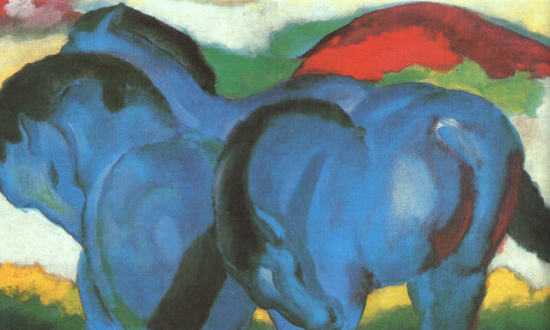 Franz Marc was a founder of "The Blue Rider" group. This was a group of artists instrumental and fundamental to the Expressionist movement, which became a major influence in many popular and controversial styles used in the Modern Art movement even today! 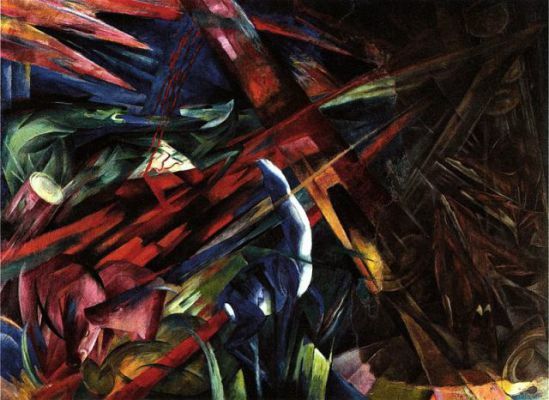 Probably the most recognizable of these modern movements was Cubism (again, think Picasso). 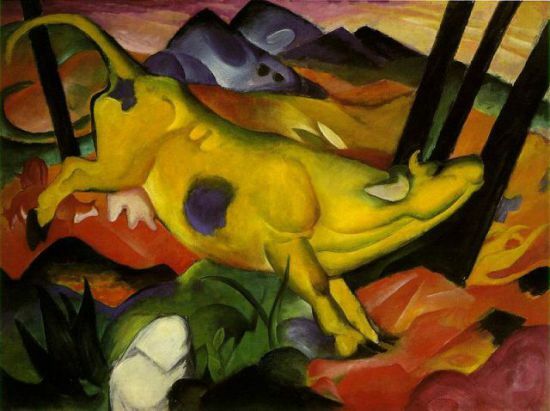 Marc jumped into the movement in its earliest stages, using animals as his primary subject matter. 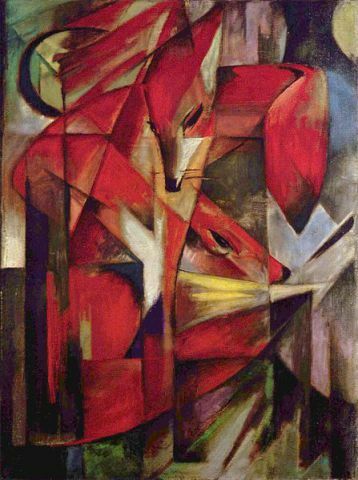 The Fox is one of his more recognizable, and also my favorite. What do you think? Can you see foreboding apocalypse in the first image? 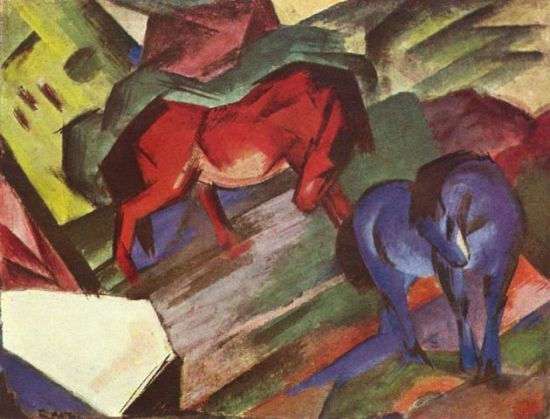 Do you like Franz Marc's Expressionism or Cubism better? Three Stylish Designer Food & Water Stations For Your Furry Friends!